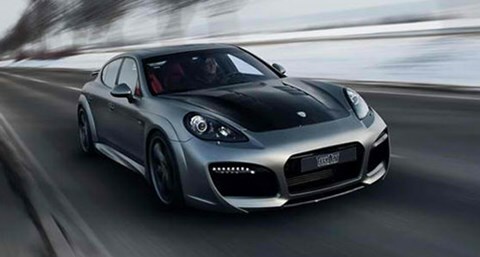 The 2013 TechArt Porsche Panamera Turbo GrandGT stands out as one of the more attractive new models released to a very fervent niche consumer market. The vehicle has all the qualities you look for in Porsche plus more, incredible aerodynamics, improved stability, and design. 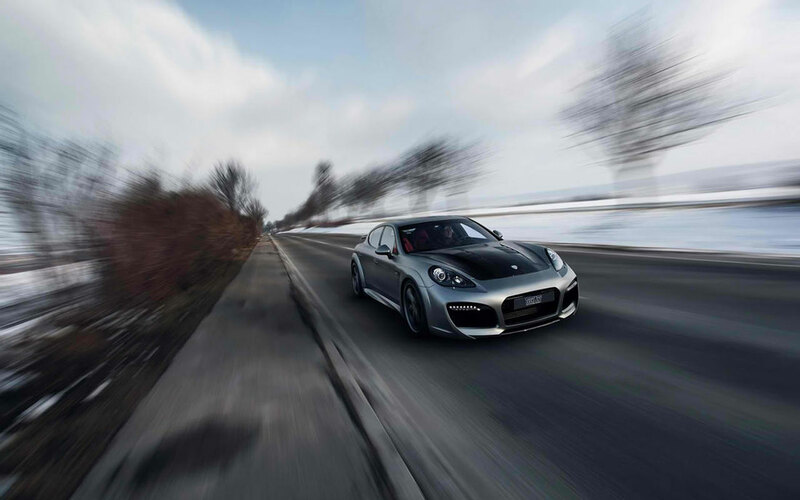 The collaboration with TechArt enhances all the features Porsche has already in place. The power and performance of the Panamera Turbo GrandGT definitely allow it to command attention. On the central console is a sport button that electronically starts the engine. The motor itself is a 4.8 liter bi-turbo and it can deliver upwards of 630 horsepower along with a the maximum torque from of 651 lb ft. The maximum speed the car is capable of reaching is a stunning 205 mph (330 km/h). Intelligent control technology can be installed into the system making it more effective from a performance standpoint. As previously mentioned stability is another selling point of this vehicle. The integration of the TechArt roof spoiler and rear wing cuts down on the lift of the rear axis which enhances running safety and stability. The rear apron has been designed in such a way that the entire vehicle is more aerodynamic. All these attributes, in turn, lead to a better handling on the road even at high speeds. Performance will mean little if the interior lacks comfort. 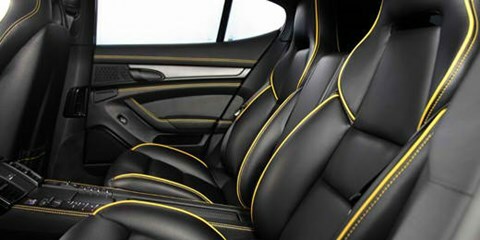 The TechArt Panamera Turbo GrandGT does have an interior that provide excellent comfort. The black leather interior is visually stunning and there is more than enough space in the car to avoid feeling crowded. There is even a host of entertainment features that evoke a very luxurious feel and a unique riding experience. 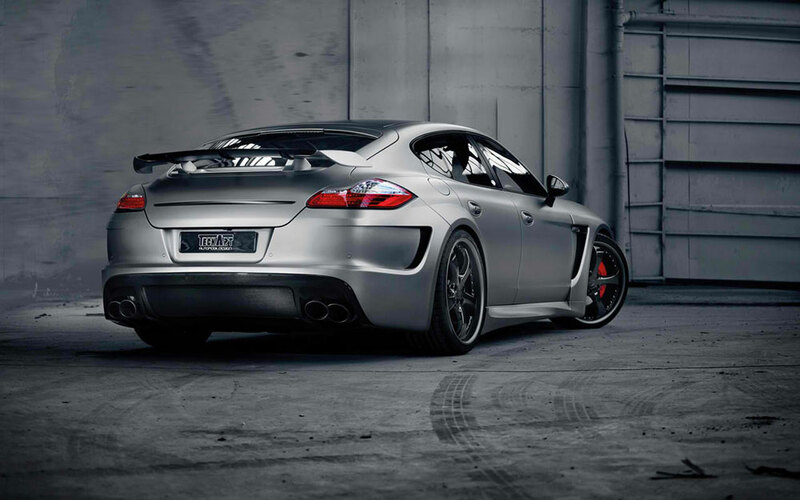 The 2013 Panamera Turbo GrandGT just might be the car of the future. It would be tough for any other model to match its uniqueness.